Where will you be celebrating 4th of July? 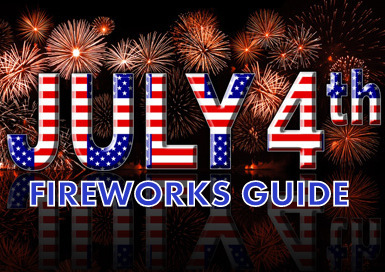 4th of July Stars in the Sky – Held at the Victory Landing Park in Newport News, this 4th of July Stars in the Sky firework display sets off at 9:30. Children’s rides (giant slides, moon bounces, obstacle courses), music, vendors, contests and more kick off the event at 7pm. Free. Yorktown Fourth of July Celebration – The 35th annual Yorktown Fourth of July Celebration will be held in Historic Yorktown. Activities begin at 8am with the Yorktown Independence Day 8K and 5K Walk at York High School. Parade on Water Street starts at 9am and at 7pm the sounds of Liberty Bell ringing ceremony is held at the Riverwalk Landing Stage. Music begins at 8pm with the Dixie Band and fireworks are displayed at 9:15 over the York River. Free. Liberty Celebration – From 9 a.m. to 6 p.m. July 4-6, visitors can observe tactical and artillery drills, take part in a variety of military exercises, and learn about the challenges that faced our nation’s founders…including those who signed the Declaration of Independence. The Liberty Celebration is held at the Yorktown Victory Center. Admission is $9.75 for adults, $5.50 for youth ages 6 through 12, and free for children under age 6. Fourth of July Laser Displays – Held in the Abbitt Planetarium at the Virginia Living Museum, the July 4th Lasers will be available from 5-5:45pm. Cost is $3 for VLM members and $6 for non-members. Patriotic Kinetix – On July 2, 3, and 4 enjoy a fun filled day at Busch Gardens amusement park followed by a fantastic firework display at 9pm. For ticket information visit buschgardens.com. Military admission is free. Fourth at the Fort – Music, children’s activities, food and more begin at 6pm at Walker Airfield. This year the Fort Monroe firework display will have a new twist…launching from the top of the fortress wall at 9:15! Free. Independence Day – An all day event in Colonial Williamsburg from 10am-10pm is dedicated to celebrating our nation’s Independence Day with a variety of activities including fifes and drums, cannon salutes, and a reading of the Declaration of Independence. Fireworks begin at 9:20 and can be viewed at Market Square or Palace Green. Free.